Anti-immigrant activists often say that we must first enforce current U.S. immigration laws before even considering any reforms that might grant legal status to unauthorized immigrants already living in the country. However, as the Migration Policy Institute (MPI) documents in a comprehensive new report (and a more condensed Report in Brief), that is what we have been doing for more than a decade. Ever since 9/11, the expansion and intensification of immigration enforcement has been the one approach to immigration policy that the majority of lawmakers on both sides of the aisle have whole-heartedly endorsed. This suggests that the “let’s wait a while” approach advocated by anti-immigrant groups is completely unjustified, and has been for a long time. In Fiscal Year (FY) 2012, the budgets for U.S. Customs and Border Protection (CBP), U.S. Immigration and Customs Enforcement (ICE), and the U.S. Visitor and Immigrant Status Indicator Technology (US-VISIT) system totaled $17.9 billion. -This is significantly greater than the $14.4 billion spent on all Department of Justice law-enforcement agencies combined: the Federal Bureau of Investigation (FBI), Drug Enforcement Agency (DEA), Secret Service, U.S. Marshals Service, and Bureau of Alcohol, Tobacco, Firearms, and Explosives (ATF). -This is 15 times greater than the budget of the U.S. Immigration and Naturalization Service (INS) in 1986. 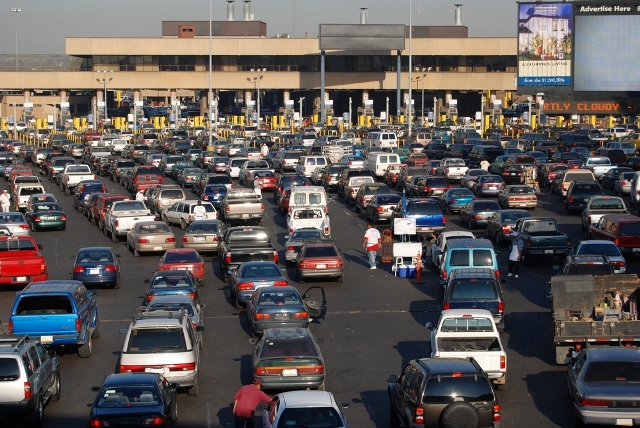 Border enforcement: This includes enforcement between and at ports of entry. When it comes to unauthorized immigration, “removal” is now the norm, whereas “voluntary departure” used to be the favored option. Visa controls and travel screening: Enhanced screening technology has managed to “push the border out” away from the territorial United States. In other words, individuals who might present a risk are often flagged before they ever arrive in the United States. Workplace enforcement: E-Verify is expanding quickly and improving in accuracy when it comes to identifying individuals not authorized to work in the United States. At the same time, there has been a move away from large-scale worksite raids. Intersection of the criminal justice system and immigration enforcement: Programs aimed at removing “criminal aliens,” both legal and unauthorized, have expanded dramatically (particularly Secure Communities). The MPI report also notes the significance of the “Risk-Based Strategic Plan” announced by the U.S. Border Patrol in 2012. This plan calls for the channeling of enforcement resources to “high-risk” geographic areas and migrant flows. According to MPI, this means that DHS “has defined its task as managing, not sealing, borders. Thus, it has rejected the idea of preventing all illegal entries as a goal because it is not an attainable outcome of border enforcement.” Put differently, an “enforcement-first” approach to unauthorized immigration won’t eliminate unauthorized immigration because doing so involves more than just enforcement; is also requires the creation of immigration laws that are actually enforceable in the real world. We’ve been doing “enforcement first” for more than a decade. It’s time to take the next step and revamp the nation’s immigration laws.